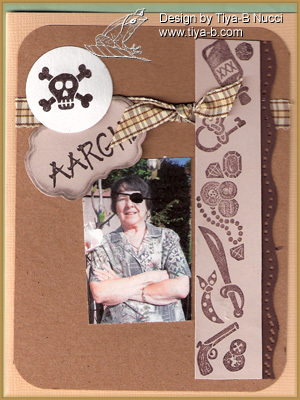 OK… I took a picture of my mom with an eye patch and what else could I do but photo shop the picture and make the patch black and then do a pirate card? 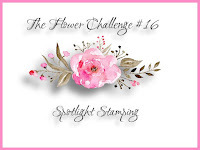 The stamp set is from Posh/Sunday international Easy mount. I sorta followed Mojo Monday 180(see below) and since I like to use pictures in my cards as one of my favorite techniques I’m entering this for Top Tip Tuesday. AAARRRRGH! 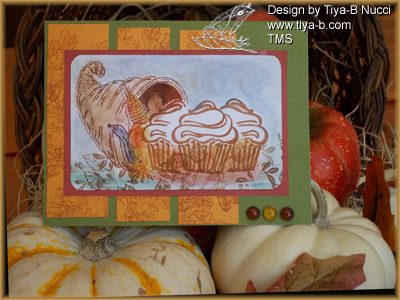 This weeks Tuesday morning sketch challenge is cupcake wars and since its fall; I decided to make pumpkin spice cupcakes displayed in an autumn showcase display with matching card. The display includes a cornucopia with several different types of squashes, straw, leaves, with an added framed wheat to complete the harvest theme. 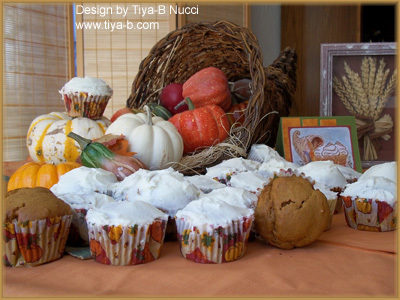 The cupcakes were made from a spice cake mix substituting 2 cups of canned pumpkin for the liquid. the cupcake papers are fall theme and the frosting is cream cheese, however since the cupcakes need no frosting I’ve showcased two un- frosted. The cornucopia stamp has no name and the cupcake stamp is from a set by Sunday International. 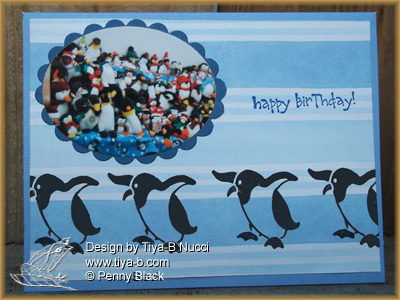 My sister in Denver( actually Centennial Colorado) likes penguins so I put a few on her card, the picture is a small portion of her collection cut with spellbinders. 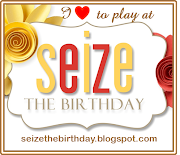 the stamp is Sunday international, the happy birthday Stampin up. 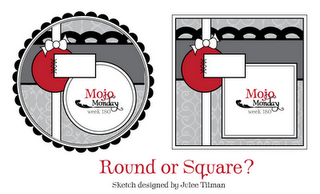 These mojo layouts get harder each week. 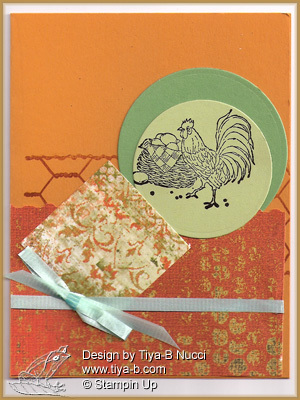 I wanted to use this Stampin’ up set ‘country morning’ and the chicken wire is from aSunday international stamp set. The two background designs are my minds eye complete boy stack. The circles were cut with spellbinders. 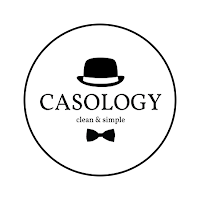 Its Jesse’s birthday and he likes motor cycles and i have a motorcycle stamp from Sunday International so here it is. 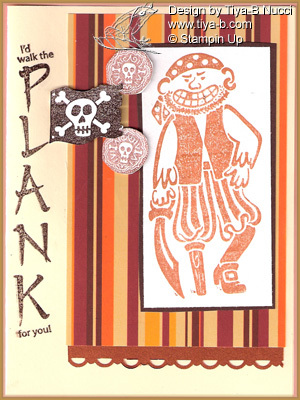 The happy birthday is Stampin up , cut out with their punch and the background lines cuttle bug. The plaid paper is one of Joanns. The motorcycle is framed by spellbinders. A sheep of any other color would be called patchwork. 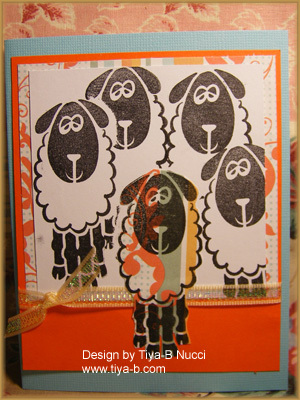 The card is made with Sundy internation al sheep instead of whipper snapper sheep.